Lis d'Amour is an adorable and spirited chestnut filly out of our Hanoverian mare Fleur d'Amour (Floriscount/ Wolkentanz). This little girl is by Liberty Gold, the winner of his stallion licensing in Verden and of his performance test at Adelheidsdorf, Germany wowing the judges with a dressage index of 147.75 and an overall score of 140.93.. . 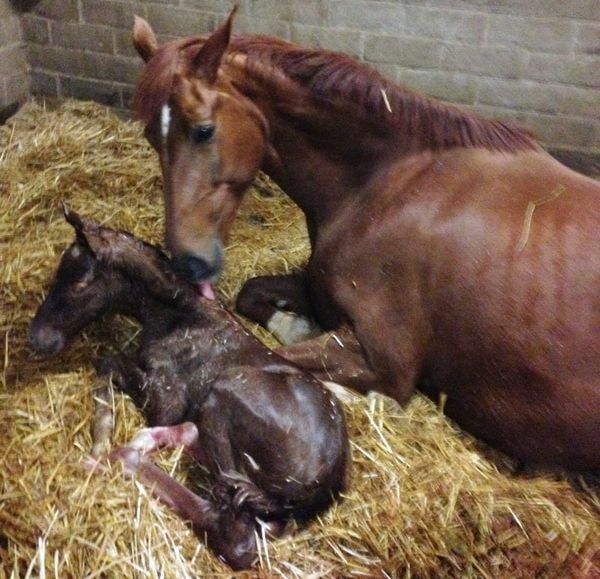 Check this page again soon and we might have new foals updated as they are born.